During the 2010 Gulf oil spill, BP talked about, filmed, and ultimately announced that it had capped one leaking wellhead. We reported last Friday that Hurricane Sandy could cause problems at Oyster Creek, Salem, Indian Point, Limerick and other nuclear plants in the Northeast. As the debate rumbles on about India opening its doors further to powerful transnational companies, the question to be asked is just what is there in fact left to discuss? Mitt Romney has direct ties to voting machines. 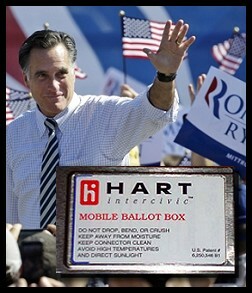 His son, Tagg Romney and a cadre of former Bain Capital business partners are owners of Hart Intercivic, whose voting machines are used in all fifty states. Recent months have seen one example after another of gains for parties advocating the creation of new, small states in Spain, Belgium, Italy, Scotland and elsewhere in Europe. Last year, US Jerusalem Consul General, Daniel Rubenstein, told chief negotiator Saeb Erekat that Washington will veto a UN Security Council resolution on Palestinian sovereignty within June 1967 borders. Alert Issued at Oldest Nuclear Plant in the U.S.
During a tour of the New England Compounding Center (NECC), investigators from the US Food and Drug Administration (FDA) found foreign “greenish-black” material in some vials of the injectable steroid suspected as the cause of the ongoing meningitis outbreak. Venezuelan President Hugo Chavez’s re-election on October 7 with more than 55% of the vote was vital for two reasons. Call it elevating Murder, Inc. to a higher level. A Washington Post Special Report discussed America’s permanent war agenda. We have repeatedly addressed the topic of disruption of logical debate on the Internet. Preface: We hope and expect that the severity of the hurricane is being overblown, and that the nuclear plants in the Northeast will ride out the storm without any incident. The Human Rights Council’s special rapporteur, Richard Falk, urged the international community to boycott 13 companies benefiting from business with Israeli settlements, the United Nations reported on its website on Thursday. The U.S. and European Union (EU) are working towards launching official negotiations on a deal that would further deepen their transatlantic trade partnership. In the latest token civil suit by the Obama administration against a major Wall Street bank, the Department of Justice on Wednesday charged Bank of America with wholesale mortgage fraud. The opposition will oppose any changes in ownerships of the private banks, mass media and strategic economic centers which they dominate. The U.S. government has – in some parts of the world – protected drug operations. Big American banks also launder money for the drug cartels. October 25 marked the 10th anniversary of Wellstone’s death. Was it accidental or an assassination to silence a sadly missed principled voice? Convincing evidence suggests foul play. More on that below. Operators of Japan’s Fukushima Dai-ichi plant are having trouble storing a perpetual accumulation of radioactive cooling water from the plant’s broken reactors, the plant’s water-treatment manager, Yuichi Okamura, told the Associated Press in an interview this week. Before the campaign contributors lavished billions of dollars on their favorite candidate; and long after they toast their winner or drink to forget their loser, Wall Street was already primed to continue its reign over the economy. This 2-minute video from We Are Change Luke Rudkowski powerfully captures what US “leadership” has become. There are increasing signs that the global economy is about to enter a new period of financial turbulence, coupled with deepening recession in a growing number of countries. London-based UN expert says Geneva unit will investigate civilian drone deathsThe United Nations plans to set up a special investigation unit examining claims of civilian deaths in individual US covert drone strikes. American crimes of war and against humanity perhaps exceed all other rogue states in history combined. Pound-for-pound, however, Israeli lawlessness matches the world’s worst. Long ago, it graduated from a regional menace to a global one. It is virtually beyond dispute that Bush and Cheney are war criminals. Will they ever be prosecuted? Or does might make right … since the victor writes history? The US is making huge investments into satellite technology. Back in 2009 US Defence Minister Robert Gates convinced Congress to designate a sum of $10.7 billion to developing this field. Reported this morning, the cease-fire was broken by the NATO sponsored rebels. Terrorist acts directed against military posts were conducted throughout the country on Friday. From the TV news and commercials to the game-shows and latest instant fame program, misinformation and distraction pervade all aspects of life. Call it three-bagger injustice. Three “bad guys” in one week include one wrongfully arrested, another forced to plead guilty though innocent, and a third convicted without having committed a crime. Amid conflicting reports that the Libyan city of Bani Walid was captured by army forces, RT has learned that 600 people were allegedly killed in Wednesday’s fighting, and over 1,000 have been hospitalized. Locals are appealing for international aid. For decades, Israel has literally gotten away with murder. Crimes of war and against humanity repeat regularly. Human and civil rights are spurned. A reported by Reuters, Afghan President Hamid Karzai on Tuesday condemned a NATO operation that he said killed four children in the country’s east. 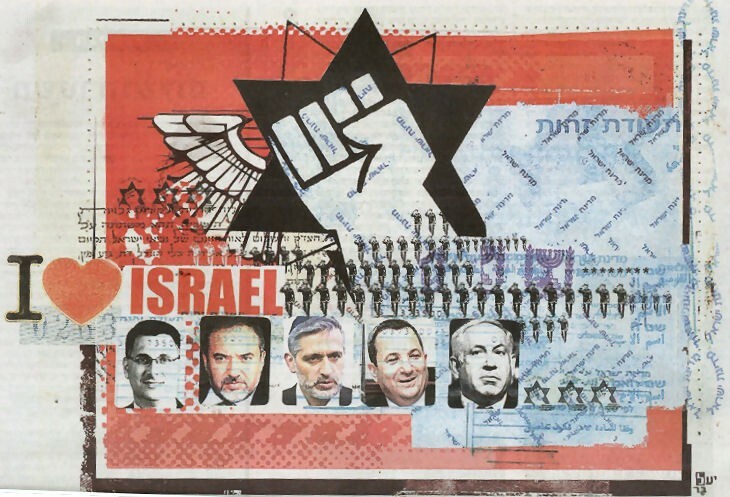 A new poll of Israeli Jews by Camil Fuchs and commissioned by the New Israel Fund has alarming findings concerning the deterioration of democratic values in Israel. Iran has an extensive maritime coastline bordering onto the Persian Gulf, the Gulf of Oman and Arabian Sea. Iran is an ally of Syria but it does not have a border with Syria. There is no democracy in the United States. American political life is dominated by one party with two heads, often called the “Republicrats”. Republicans and Democrats agree on core issues and only argue on technicalities. You would never know that US citizens can now be imprisoned and executed without due process. All that is required to terminate the liberty and life of an American citizen by his own government is an unaccountable decision somewhere in the executive branch.